There is a fantastic book on S K adventures. I know reading this book and its proud history has inspired many people. It was 1961 when the idea was first conjured up to traverse the entire length of the Tararua mountain range from North to South in a weekend. 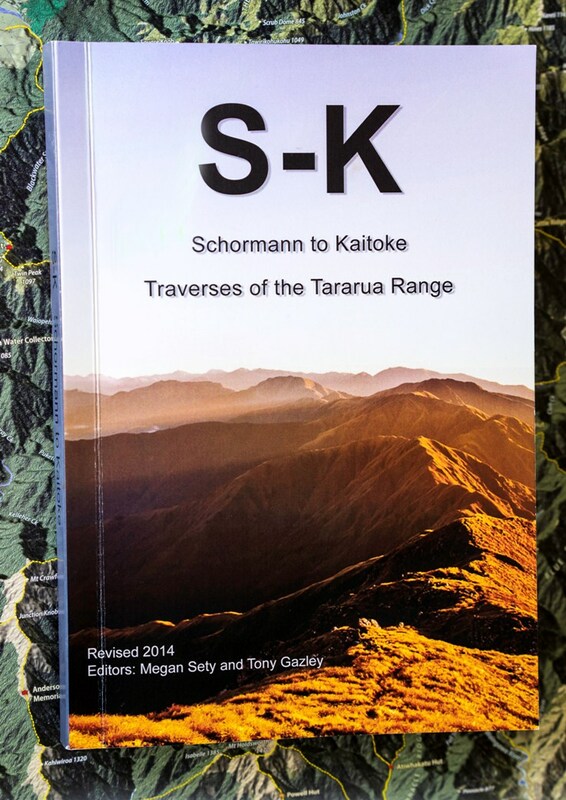 The plan was to start on Friday night from the Schormann roadend and finish Sunday evening at the Kaitoke roadend; hence the ‘SK’ symbol. The Schormann roadend no longer exists and current punters must start at the Putara roadend, but the name has remained the same. The first successful attempt was recorded in 1963. Since then, dozens of trampers from local clubs and beyond have attempted the feat, via the Main Range, Tarn Ridge, the rivers or in reverse and succeeded. For more information about the book or launch, contact Megan at newsletter@wtmc.org.nz. Please contact below email to order one of they are sold at Bivouac Wellington.